I intend that this will run in parallel with the continuing Woodhead V4 thread on UKTS. 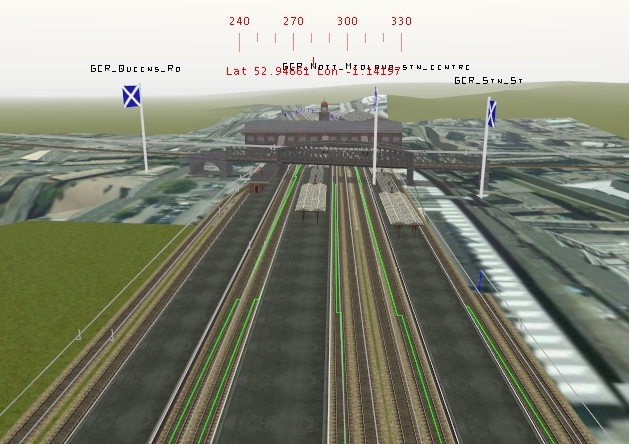 I have now managed to lay track through Nottingham Victoria station and am setting up the Nottingham Midland area. I'm looking forward to hearing about how the Woodhead is progressing.
. . . ditto . 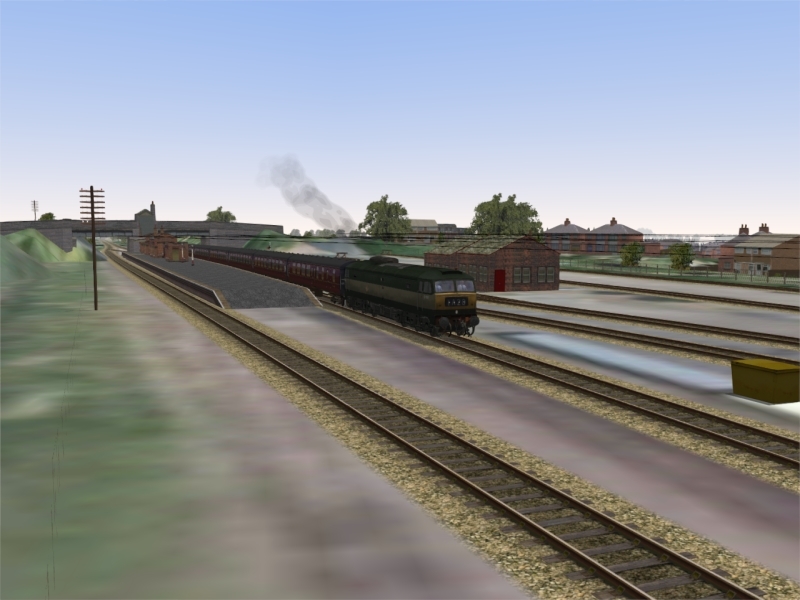 . .
Im exited that the GCR is being done, surely one of the most deserving of mainlines? Those are fascinating shots in showing us how routes develope. 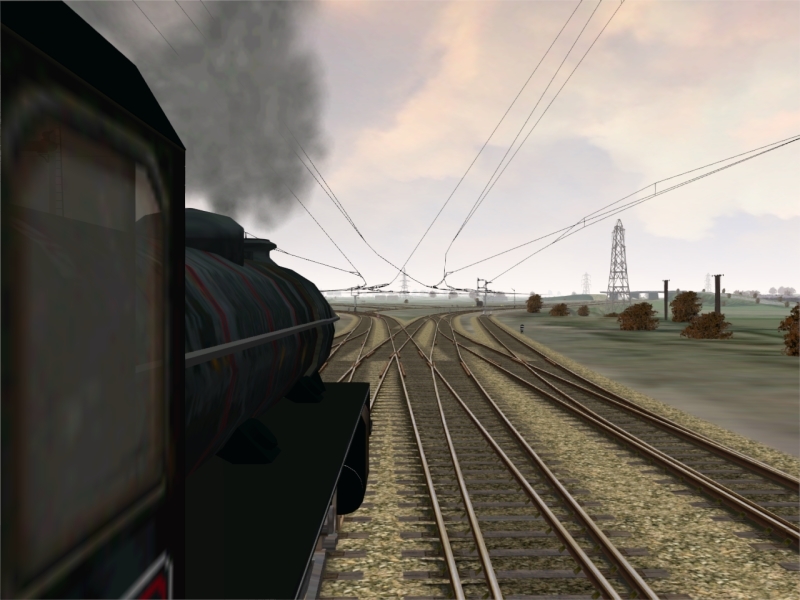 This looks like another splendid route for MSTS Tim. Looking forward to its progress. 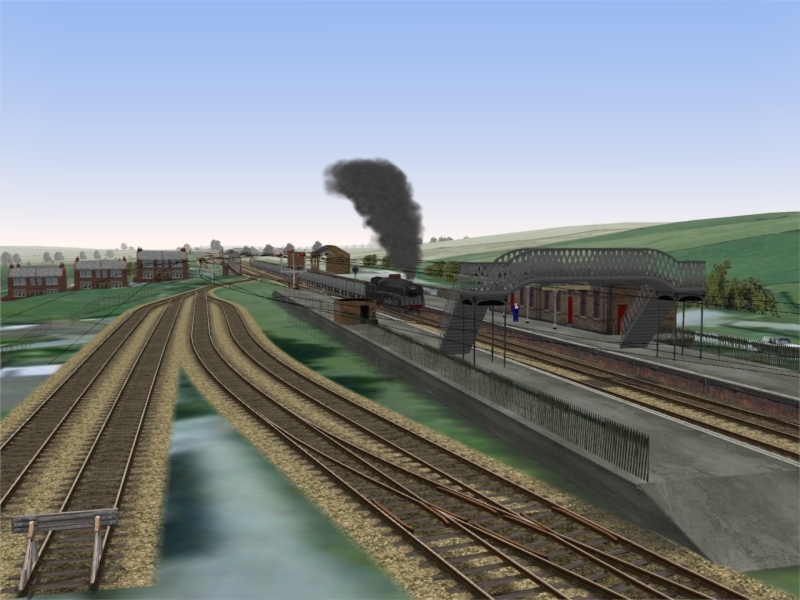 Updated BR Blue era activity pack now downloadable from UKTS. 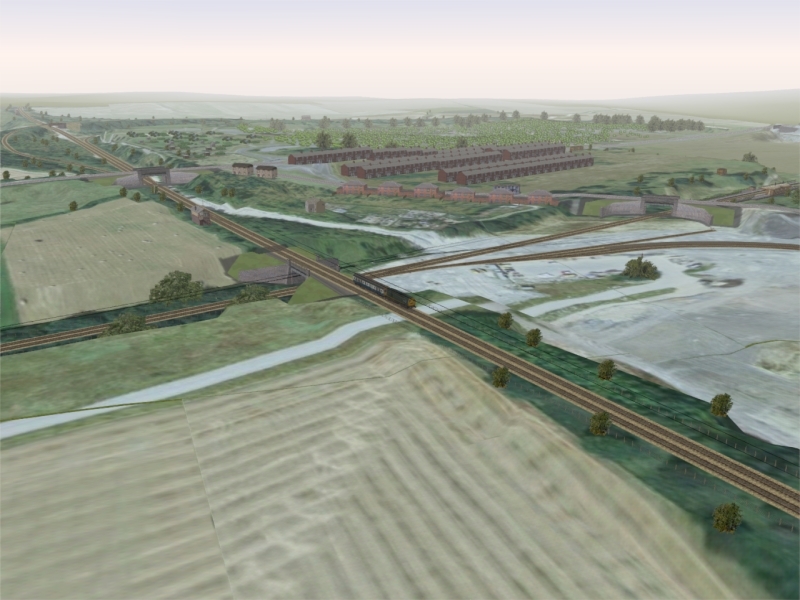 I have laid track from Woodhouse Junction to the ME+ interface near Shireoaks and am starting scenery. Delighted to see Sundaypm's Great Central buildings have a home! 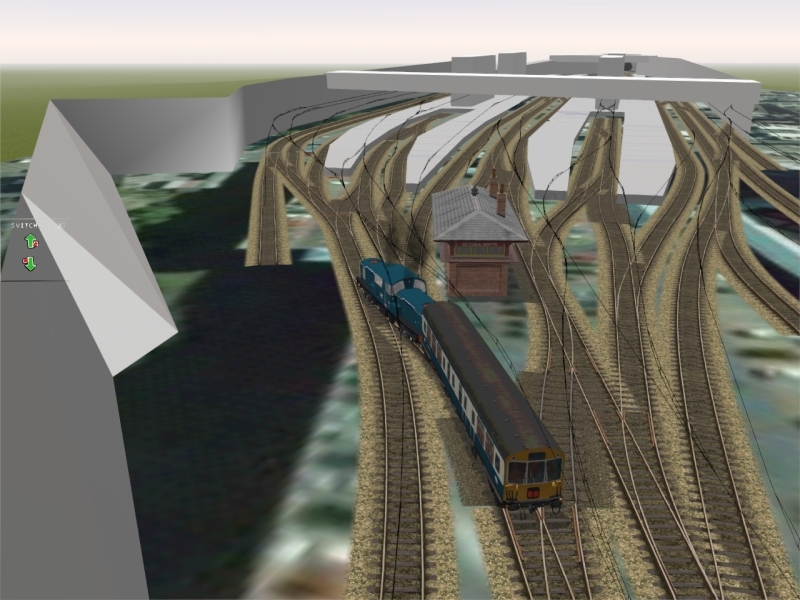 Woodhouse Junction to MEP interface i.e. 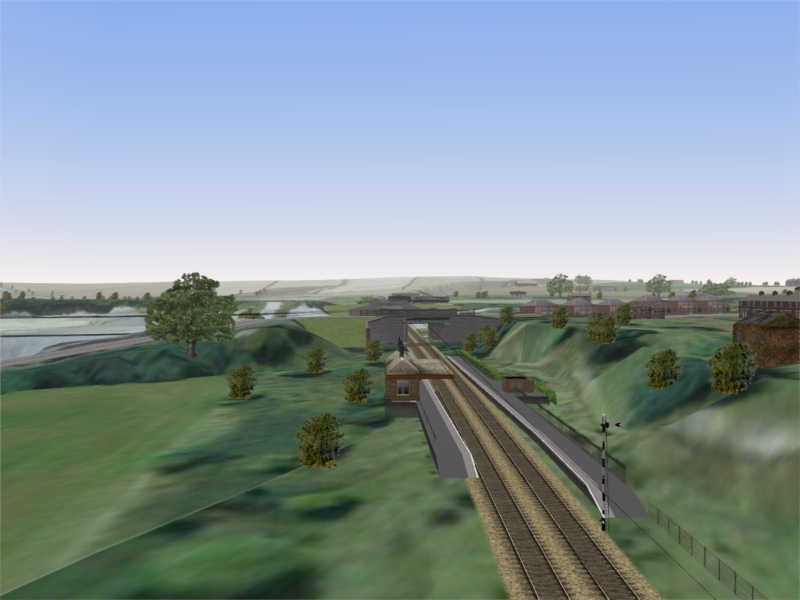 near Shireoaks on the line to Worksop complete. 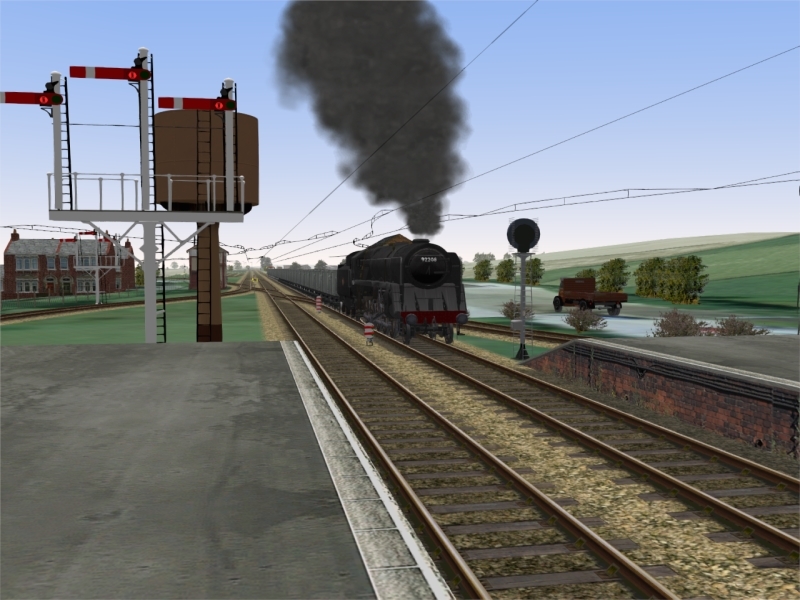 Now concentrating on the GCR main line. Excellent work so far Tim. Loughborough Station looks brilliant. Keep up the good work. 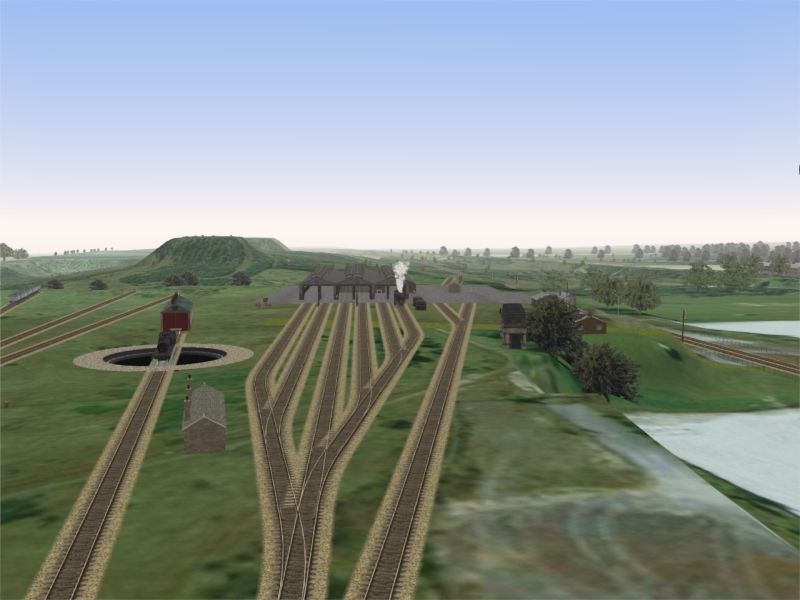 This is one major route that is missing from MSTS, so nice to see it is finally being built. 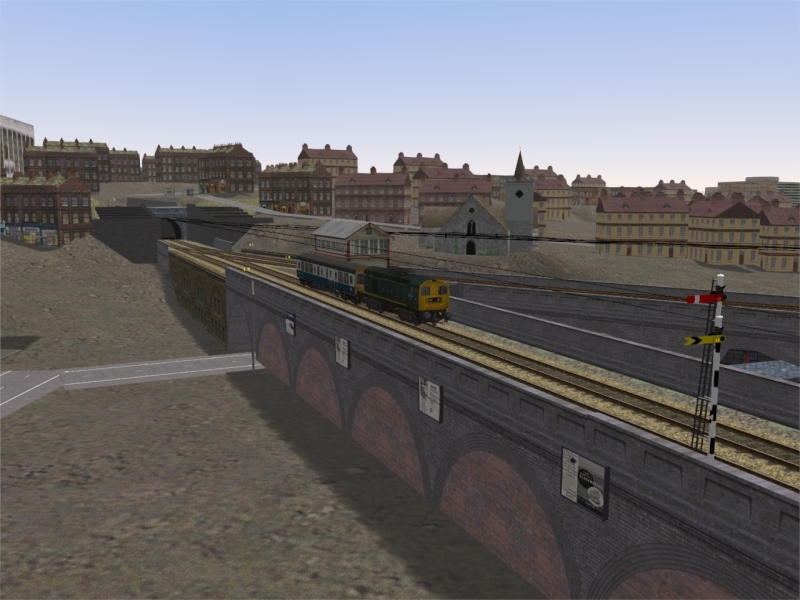 At the moment - working on decals from Woodhouse Junction southwards and sorting the levels out. 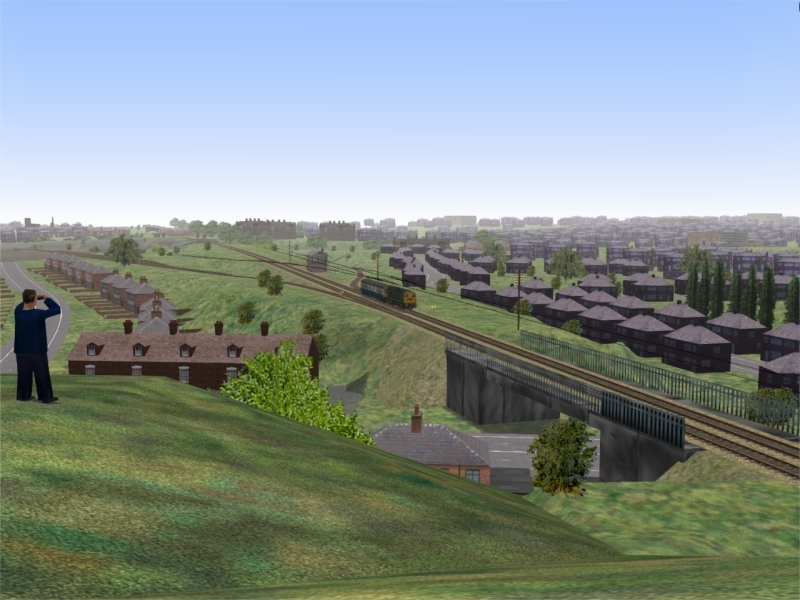 Just a bit more scenery to do on the approach to Staveley Central, and correcting the levels around Gorton (cutting too deep...) before I prepare V4.2 for release hopefully forming my contribution to MSTS June. Following the very welcome release of the full set of Class 506 livery variations, I am working on updated activity packs which will make use of the range of new 506, EM1/76 and EM2 models. We are really being spoiled this month! Keep at it Tim, you are progressing nicely. 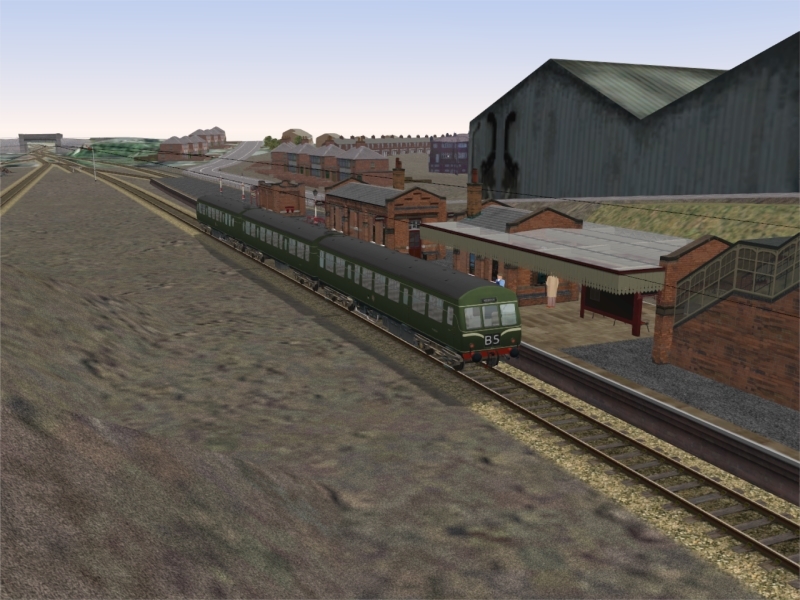 V4.1 update has now been uploaded at UKTS. Downloaded and will be looked at later in the year as I have a lot of other tasks to complete. However please accept my thanks for uploading an excellent route, and I look forward to appreciating the hours(!) that you have lovingly spent on it. I shall add this to my stock of routes, and this is one I am looking forward to driving in my retirement. 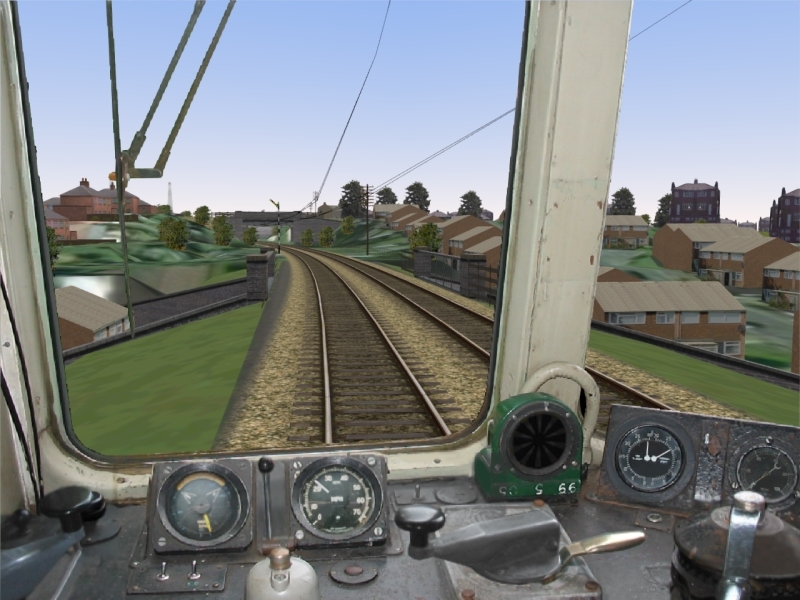 All the screenshots prove that this will be a superb addition to the vast array of available routes. 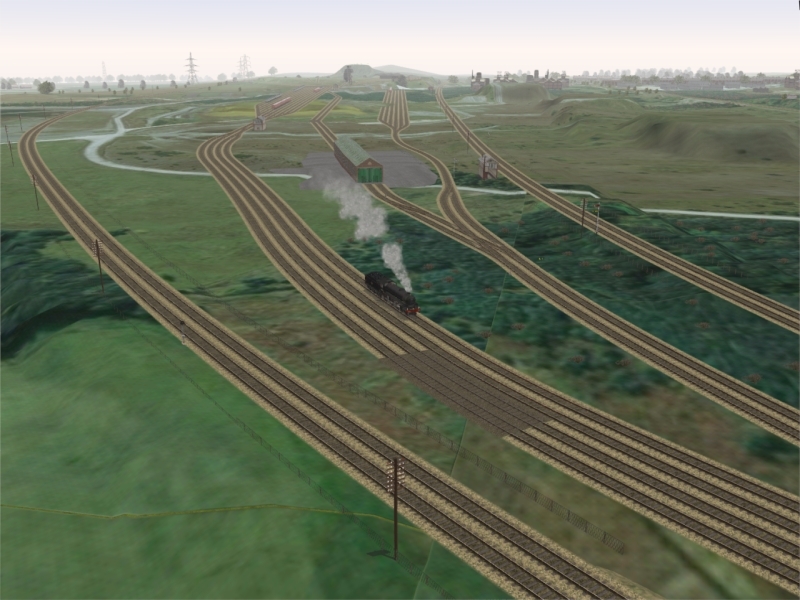 Still carrying on, now fully scenerised to New Hucknall Sidings (about 13 miles to go to Nottingham Victoria). 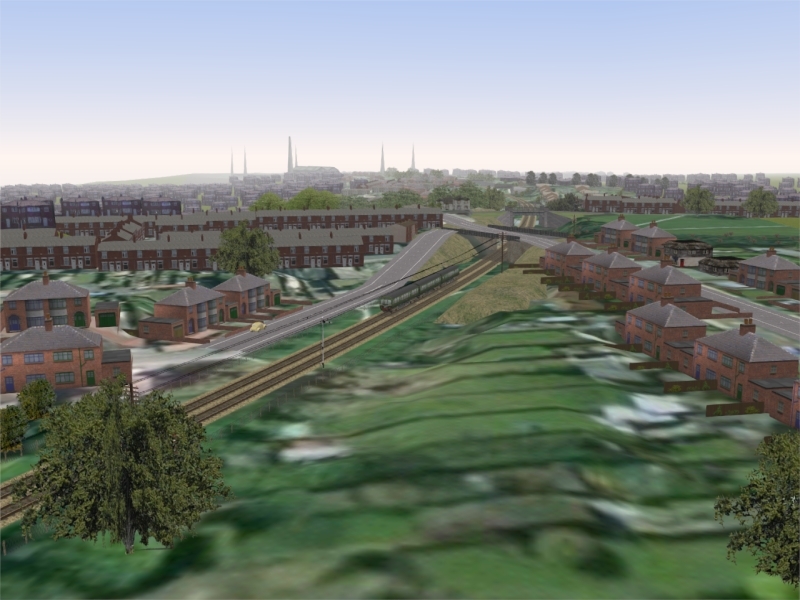 Now working on Kirkby Bentinck and soon Annesley. It's good to hear of the progress, keep up the excellent work. 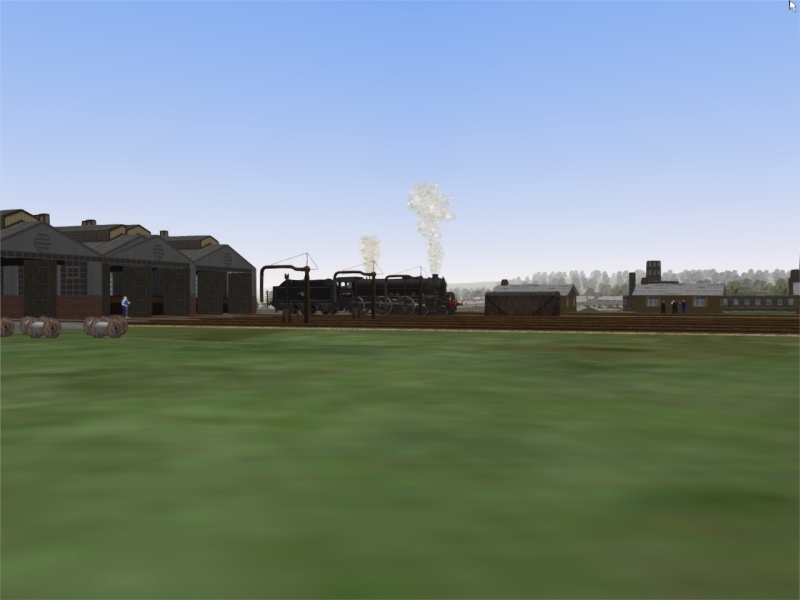 Scenery done to Kirkby Bentinck but spending a while setting up the Annesley complex (appropriate word )- due to noticing someone doing a fairly detailed representation of this area in 'that there other sim', to save time, sanity and frame rates I will be doing a basic representation that will have fewer sidings but the overall form (i.e. 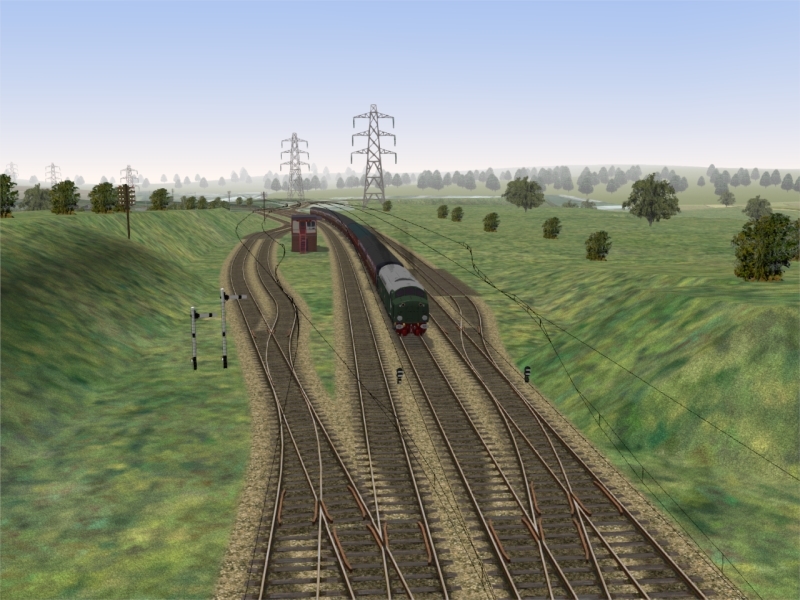 the mpd etc), and the Robin Hood line (Nottingham-Worksop) running past as a present day version (no promises to extend that in future, but it is being set up to enable i.e. following markers). 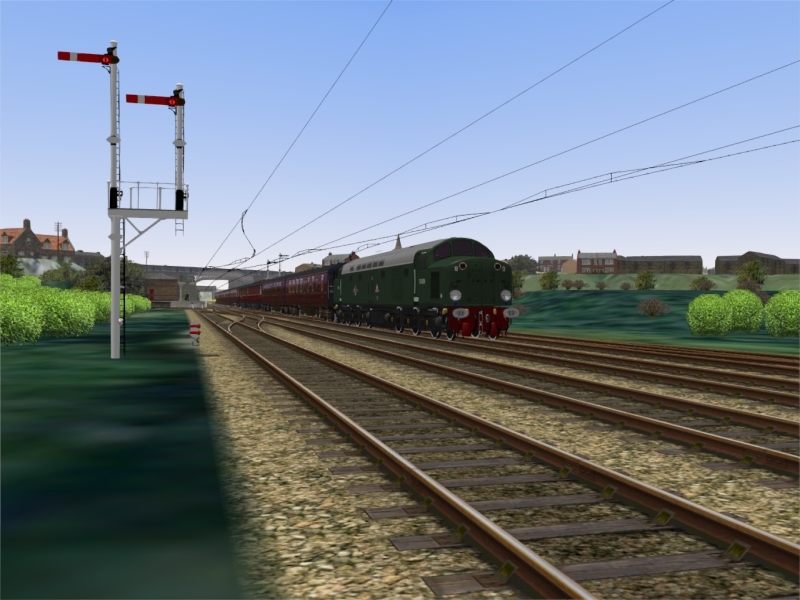 I'm really looking forward to this route,I always liked the Great Central a pity it was transferred from the Eastern Region to the Midland,they just did a hatchet job on it,replacing good Ex LNER loco's with clapped out Royal Scot's,just think how handy it would be to day,being built to the continental gauge. 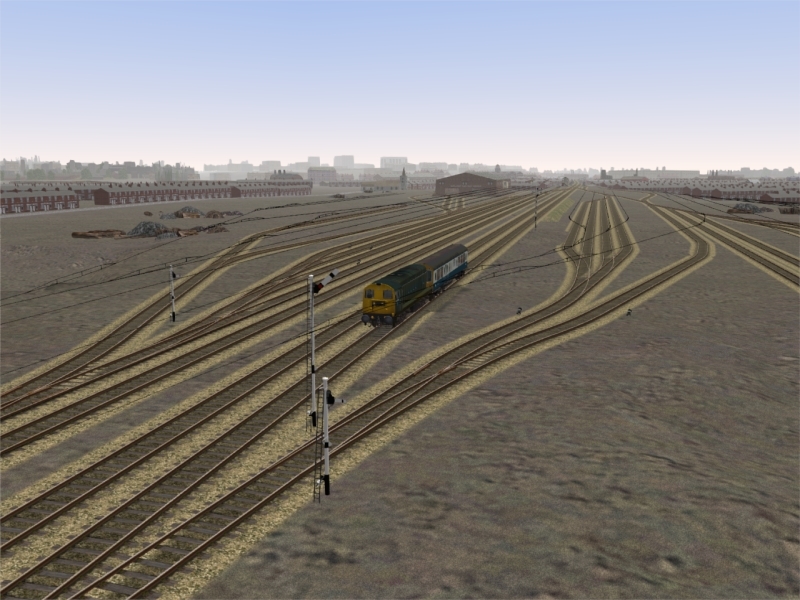 There could be both freight and ICE trains running to and from the Midlands and the Continent,also there could be rolling road trains as well taking numerous trucks off the roads. Good to hear from you and your extension progress, and like Mike looking forward to adding further to my routes. Thank you. Continues to look good, thank you for the screenshots. 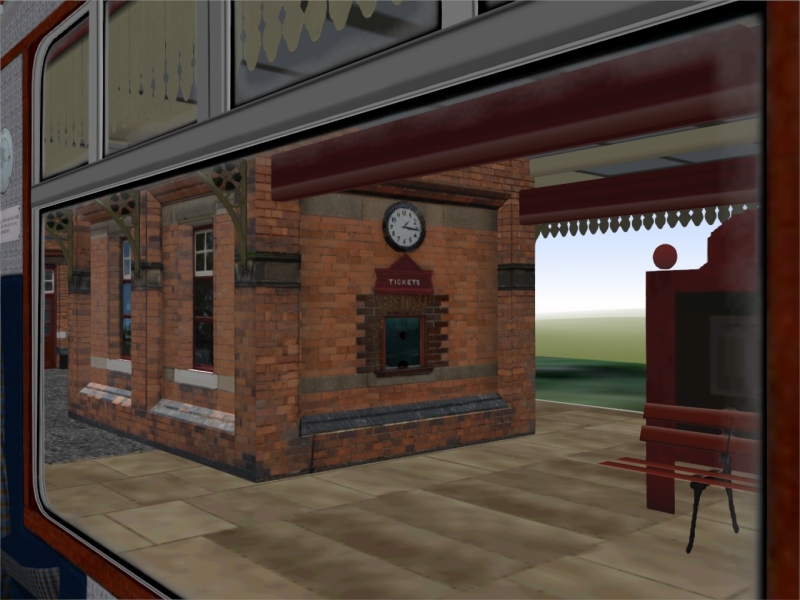 Many thanks for the update looking good,like the grounded coach on the platform. 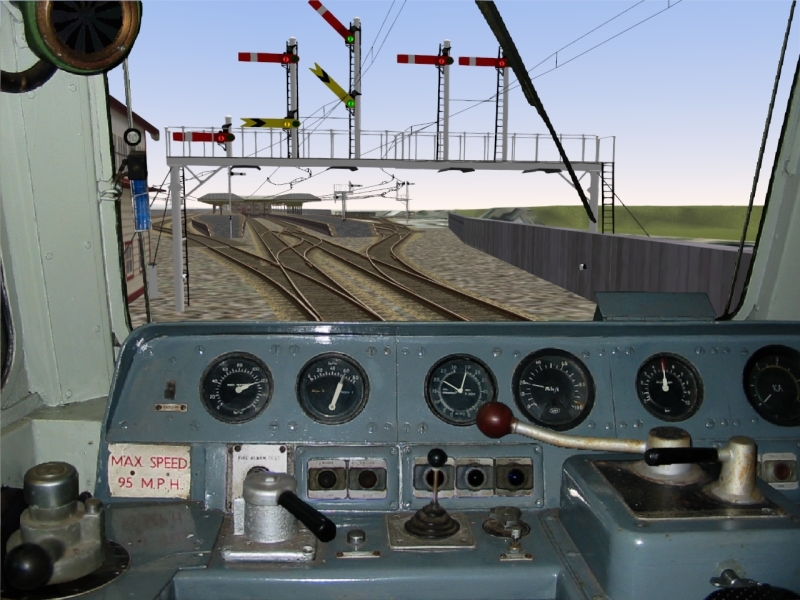 Tim,Great pictures to what I'm sure is going to be a great route..One question though,"which dmu cab view are you using"? please . 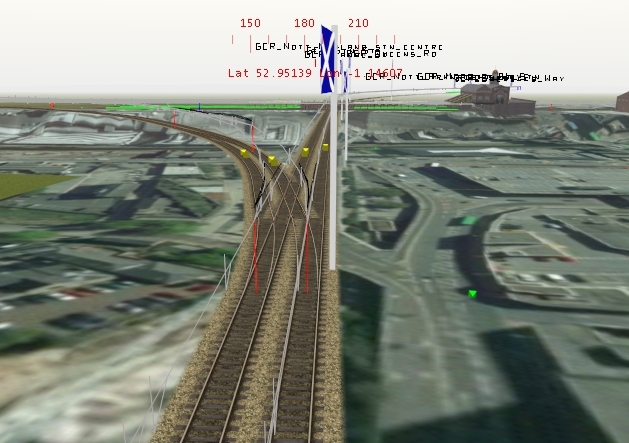 neanderthal wrote: Tim,Great pictures to what I'm sure is going to be a great route..One question though,"which dmu cab view are you using"? please . 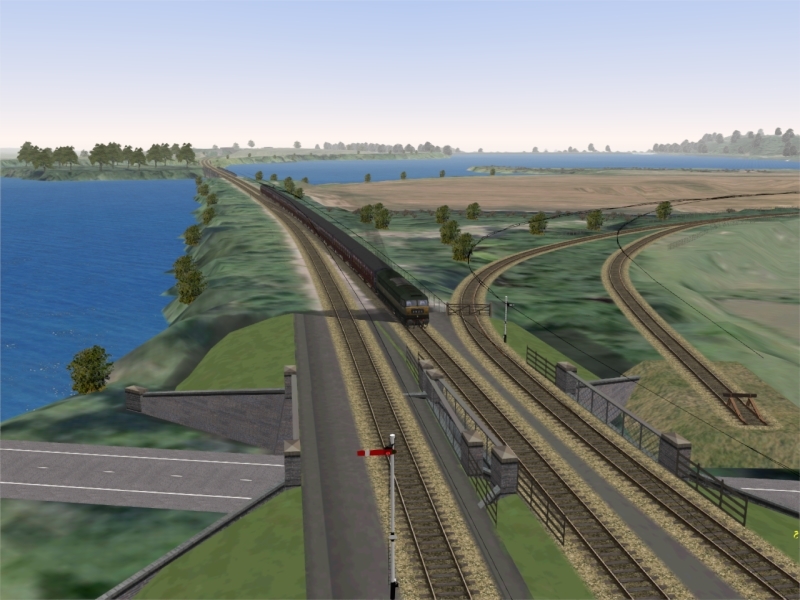 The cabview is from the Making Tracks North Wales Coast pack. 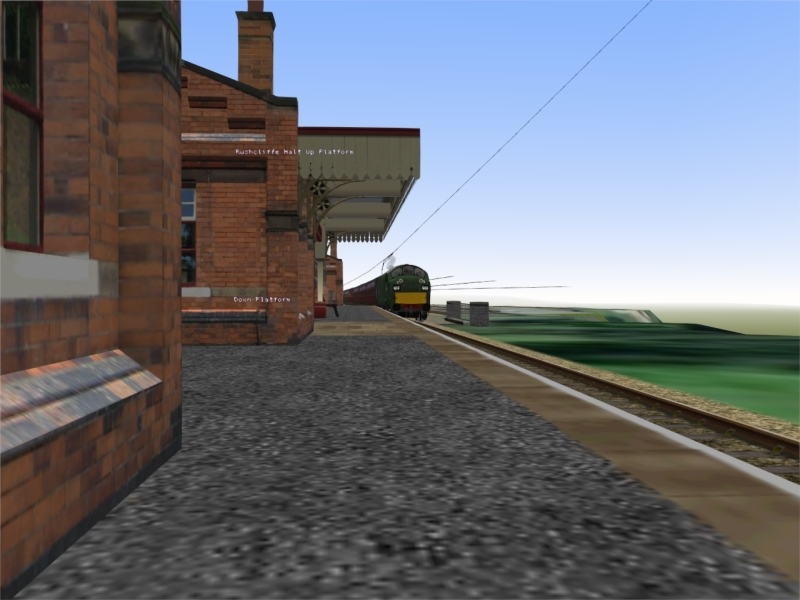 Now scenerised to Bagthorpe Junction, a couple of miles north of Nottingham Victoria. 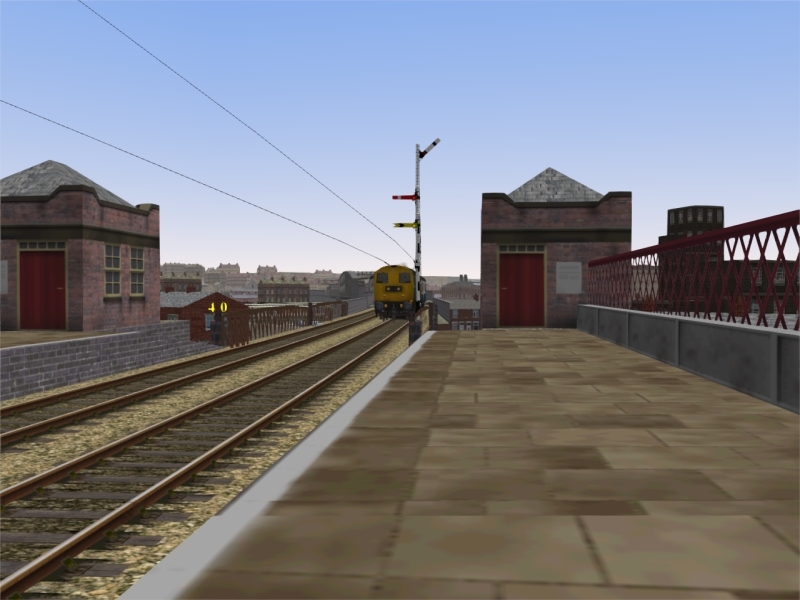 Sundaypm is now setting up Victoria station scenery. 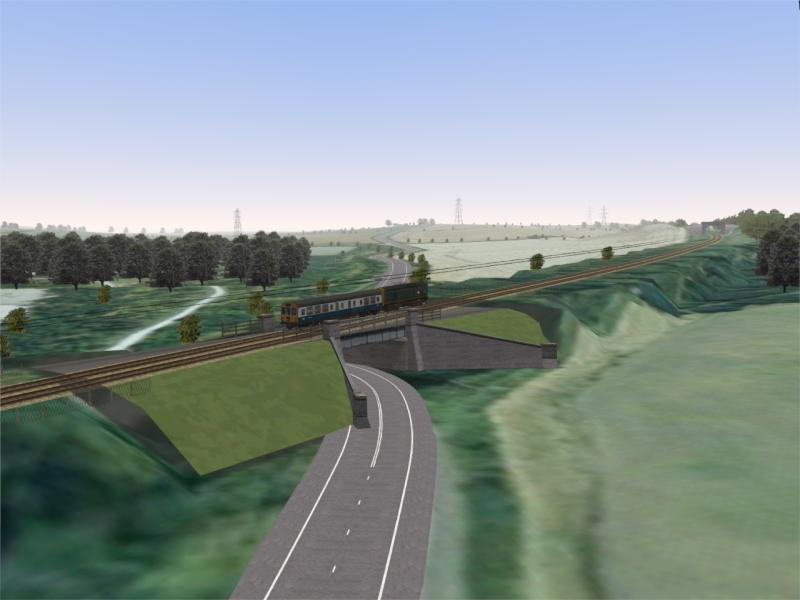 Track now laid to just before Leicester Central, and scenerising Swithland southwards. 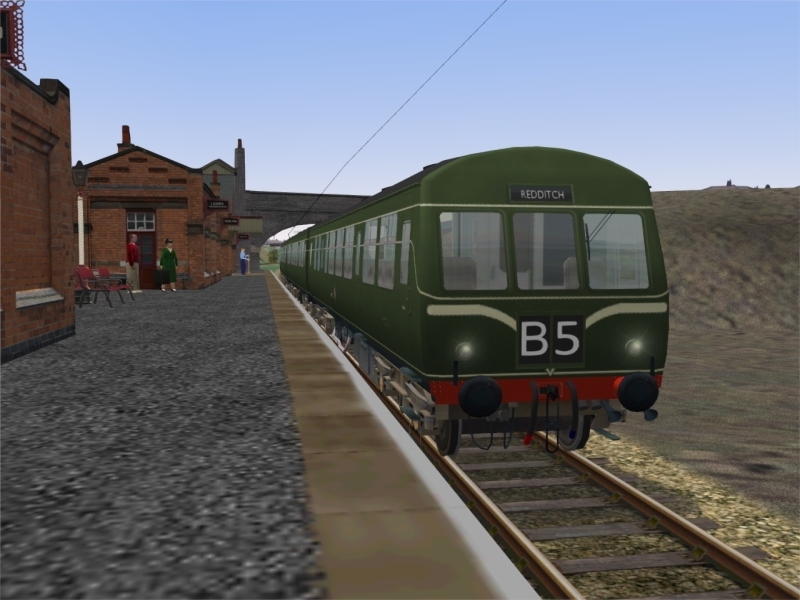 Looking good so far and Sundaypm's stations are 1st class,are you still planing to meet up with Doc Martins route at some time,(it seems ages now since he has posted any thing on UKTS,regarding his route)or will you be planning to go to Marylebone now. Thanks for making the Great Central Route. 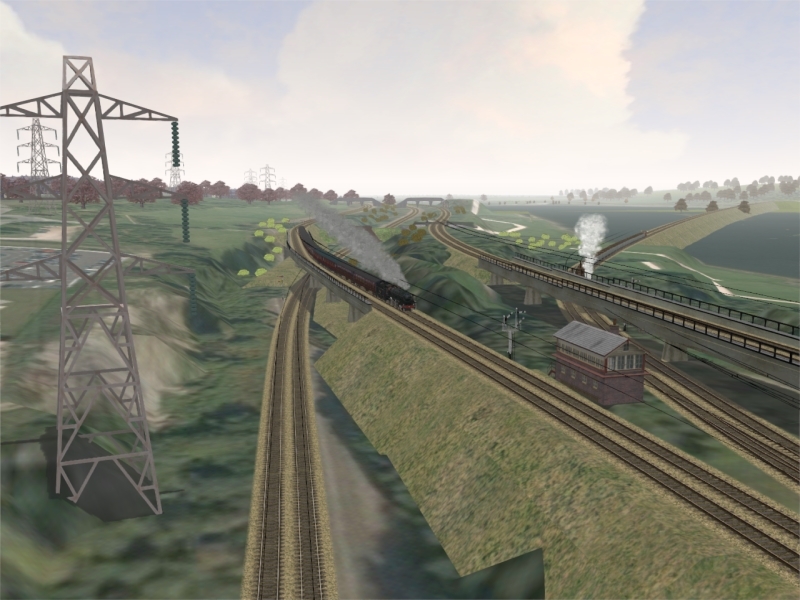 Really love this extension to Tim's route as have long wanted to see the Great Central in MSTS. "Ditto" to all previous comments. Thank you.